What is it that you expect to achieve? How are you going to measure the result of your campaign? Defining a set of clear objectives is the first step in planning a successful campaign. The purpose could be to make direct sales, sales leads or promote seasonal discounts. For example, have an x number of people visit your store or get a y number of inquiries. Set numbers in your objectives to create motivation while executing your campaign. Identifying your target audience is one of the most necessary steps in your strategy plan. Understanding the needs of your customers based on their background and attitude will save you time, prevent wastage and increase the percentage of responses. Analysis of your current customers based on what they have in common will help you define your target audience. Also, this is the right time to update the mailing data that you have gathered and create a new mailing list for your campaign. Now that you have your objectives and target customers in the place, you have enough information to make a personalized offer. Make an attractive offer to attract your customers. The words ‘Free’, ‘Discount’ and ‘Off’ still create the same impact as they used to 50 years ago. You could also organize competitions and offer free gifts and samples to attract more customers. To maintain your current clientele, you could design loyalty programs or valued customer awards as well. Remember that your current customers create your brand; do not forget to include them in your offers. One mistake that is commonly made is cluttering mailers with content. To convey your message clearly, create direct and precise content. An accurate presentation of facts will attract more customers than flowery words and big, empty promises. A picture says 1000 words! Add creative graphics that support the story you are trying to tell. Images will also add some life to your mailer. Top it off with the perfect headline. Create a system to record your responses and take this opportunity to capture more information about your customers. 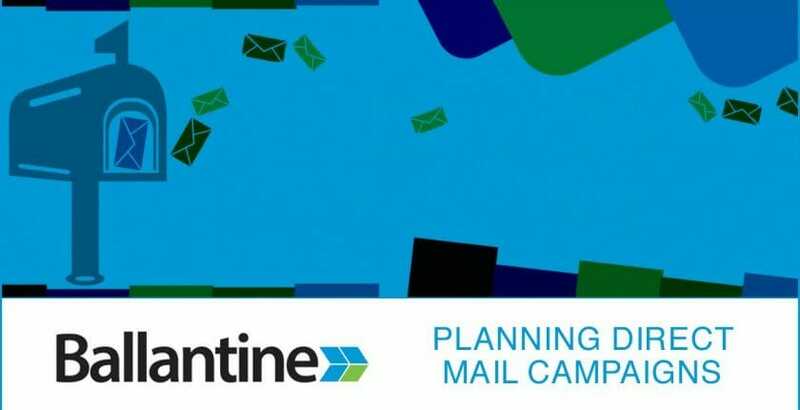 Like any other project, planning a budget for your direct mail marketing campaign is equally essential. The right amount of money to spend on your marketing not only depends on your capacity to spend but also on how much profit you expect to gain by the end of your campaign. Your costs may include creative design costs, printing costs, mailing costs, database management costs, copywriting costs, etc. To achieve a positive return on investment calculate your break-even cost based on the total investment and the value of your sales. The actual time to roll out your campaign can range from one day to up to a month or a couple of months based on its complexity. In your planning stage, assign time spans for each process plus some buffer for miscellaneous tasks. If you are outsourcing certain tasks, make sure to get your work done within the deadlines to avoid delaying the roll-out process. Consider all the processes that will take place before the mail reaches your customer’s hands. Also, add in enough time for your customer to receive, process and respond to your offer. Remember, mistimed mail is bound to repel customers rather than attract them. Think through factors like seasons and festivals while planning your campaign. For business campaigns, consider your potential customers’ frequent vacation periods. Over the years statistics have proven that direct mail marketing is more efficient than other methods, and more than 50 percent of recipients have made a purchase or engaged with the product in some or the other way. Thank you for reading our blog. To learn more about how we can help with your marketing needs, connect with us.